The other point is, three parties and three presidential candidates come through for the recent municipal election. Not yet, but the question is who will vote for you guys to make your dreams possible in the future. 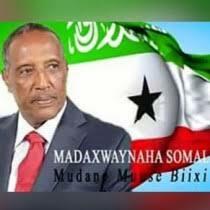 It is us, for the nation that will decide your fate in the future, the criteria of selection will be trustworthy and free from all issues of hatred or abhorred to differentiate this one nation of Somaliland. Moreover building confidence and unity of the nation is very significant so as to play lion’s share for the tomorrow’s presidential election. Remember, it is not your village, town or tribe who determines to hire you for the highest position of leadership for the nation of Somaliland office. Working with the current government is the crops harvest in the future time, for the candidates of today as well as their supporters. Therefore constructive bricks you put on this system, will be doubled in the future in return of that favour established now and prior. He who wants to rule and lead this nation has to cease all kinds of nonsense, confrontation and conflicts in the communities at the moment time. Somaliland nation whoever leads need to advance developments and better life, peace and all necessary services based on human life and environment as well that need not to extinct carelessly and greedily of hunger power by humiliating every level of our honour, dignity and reputation of this respectful nation. Let’s work together to our future and the better life of the nation elsewhere, we know (prevention is better then cure) before the out break of ailment, it is very essential to take cautious action to put every thing in the right safe and secure place that is going to be the genuine interest of the nation not individual demands!! !